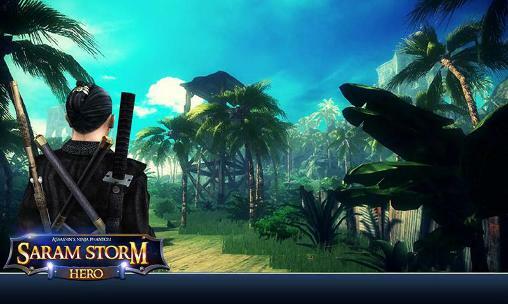 Saram Storm Hero - is a quite interesting Game whisk is based on "Survival Theme". It has a proper challenging environment instance Tropical Island, Fortress to accomplished the mission. The game is starts with the purpose to find out the "Hidden Treasure" to gain extra points. Need to follow the map to find out Diamond’s, Maps, Keys and Coins. You have to Fight and Survive against the Skeletons Army than need to Approach to a specific point to evacuate the Prisoner/Princess from the Cage/Cave. So Let's Play a Thrilling Game. If you want to become a legend hero you need to beat every Challenge. Win as many consecutive games in a row as you can! This is a really big game. If you have a ninja Assassins No mercy full, let us help you achieve. Saram Storm Hero: install APK and play the game.